I pick up the bar, focus on doing the movement right, and go for it. A few minutes into the workout the thought of quitting enters my mind – this is too hard. 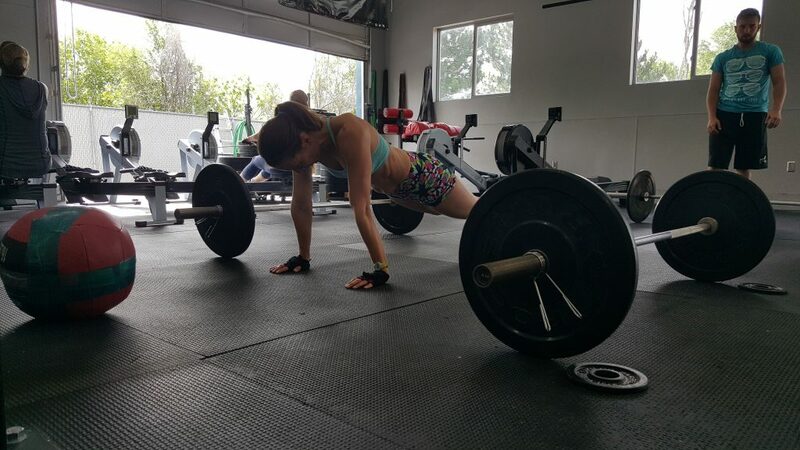 I look around me – my CrossFit friends, many of them moms, are still going, and so I pick up the bar one more time and do one more rep. And then another, and another. I continue to struggle physically as I find healing mentally. The clock finally beeps. I drop the bar and simply lay on my back staring at the ceiling. I’m a heap of an exhausted mother covered in sweat. Exhausted, but not defeated. A little bit stronger, mentally refreshed, and high on endorphin’s. Most importantly, I’m ready to go home to my girls and try something different because what seemed like a jagged mountain of parenting issues is suddenly not so intimidating any more. The post 3,2,1 Go By Marketa Dixon appeared first on Martial Arts | Fitness | Krav Maga.